Managed by team with more than 20 years of experience in medical field. We provide cutting-edge and innovative pharmaceutical and medical technologies. Distributor of many international companies in Kuwait. Practical Solutions tailored to clients’ business needs. Medical Company located in State of Kuwait that focuses on getting Medical Disposables, Medical Equipments and Pharmaceutical products for the region of Kuwait and GCC. Boubyan National Medical Company (BNMC) is a private owned medical distribution and Consultant company that strives to provide patients and Healthcare providers with the state of the art pharmaceutical, healthcare products and solutions in Kuwait and GCC Region. We are already registered in Ministry of Health so can directly participate in MOH tenders, orders and direct purchases. We supply the most advanced machines, maintenance and training for the medical staff to give patients the most safe and effective treatment. We offer the most innovative products in the field of laboratory and pharmaceuticals. CAP is the world's largest association composed exclusively of pathologists certified by the American Board of Pathology, and is widely considered the leader in laboratory quality assurance. The CAP is an advocate for high-quality and cost-effective medical care. The CAP currently inspects and accredits medical laboratories under authority from the Centers for Medicare & Medicaid Services (CMS). Qnostics is a leading provider of Quality Control solutions for Molecular Infectious Disease testing. 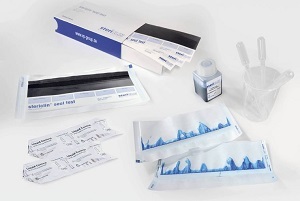 Designed to meet the demands of today’s molecular diagnostics laboratory and laboratories carrying out Nucleic Acid Testing (NAT), our range comprises hundreds of characterised viral, bacterial and fungal targets. Randox Laboratories is a company in the in vitro diagnostics industry, developing diagnostic solutions for hospitals, clinical, research and molecular labs, food testing, forensic toxicology, veterinary labs and life sciences. Randox develops, manufactures and markets diagnostic reagents and equipment for laboratory medicine, with a wide distribution network. GBL Gul Biyoloji Laboratoryis manufacturer of “in vitro diagnostics medical devices”, “medical device disinfectants” and “biodical products”. PathoGenetix develops products and applications based on its proprietary Genome Sequence Scanning™ (GSS™) technology, which was initially developed to detect bio-threat pathogens in environmental samples. SWISSAVANS AG, a high-tech company based in Basel, launches a new type of service to the healthcare market - the full support of physicians in the operation of their practice. Based on the trend toward Point-of-Care diagnostics, produces and distributes innovative devices and accessories, from the Swiss authorities approved and manufactured exclusively in Europe, for the most important analyses in the doctor’s practice. ACG Associated Capsules Pvt. Ltd is one of the largest manufacturers of Empty hard Gelatin capsules in the world. Hard Gelatin capsules are available from the extra large size 000 to the unique tiny size 5. ACG ACPL also markets a range of innovative capsules including Naturecaps (cellulose capsules), Marinecaps (fish gelatin capsules), Flofit (Liquid Filling of Hard Gelatin Capsule) and Clinicaps (capsules specially designed for clinical trials). We distribute a huge range of medical equipments. System of Videowalks all around the world. Washable Keyboards for Medical Areas. Gait Rehabilitation and assistive technology. Home Medical Equipment mainly for aged & disabled. The touchless hand disinfection unit. A global leader in healthcare diagnostics. Bone & Tissue Regeneration, wound healing & osteoathritis therapy. Highly advanced Spark Wave® Therapy systems for Diabetic Foot Ulcer. Increased Micro-circulation Therapy for Diabetic Foot Ulcer. We strive to offer the best products for patient care. Exclusive medical furniture and craftmanship - developed and manufactured entirely in Germany. Ritter Dental USA provides superior dental equipment, featuring German craftsmanship. Specialises in high-tech Slim LED viewers, optotypes and trolleys. Designed to deliver the ultimate in safety and convenience. 40 years of continuous experience in manufacturing medical patient furniture. 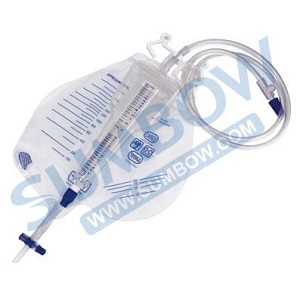 We Provide High Quality Medical Disposables. CERACARTA are among the leaders in Europe for the manufacturing of paper for electrical diagnostic instruments and industrial recording with more than 50 years experience in the medical sector. CERACARTA has advanced technologies, equipment and methodical quality controls for the production of specific chart and non-chart papers for all diagnostic equipments available on the international market. Striving for R&D and manufacturing medical products for last decades, Sewoon Medical Co.,Ltd. has made its aim to cherish the human life, and to achieve customer satisfaction by manufacturing superior products in its field as a manufacturer specializing in medical products. The company manufactures a wide range that includes indicator systems, sterile barrier systems, sterilisation equipment, products for labelling and documentation, products for sterile goods logistics and hygiene. Their aim is to continually develop our products based on your requirements and the applicable standards and regulations for medical devices. 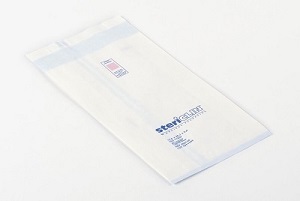 When new products originate in this way, their security bags for disinfected medical devices as a concept are based on the 2015 recommendation of the DGSV’s Quality Task Group (90). 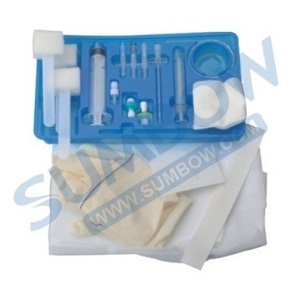 SUMBOW Medical Instruments Co., Ltd. is a leading manufacturer and supplier of various medical disposables and equipments. SUMBOW was authenticated with CE and ISO13485 certificates which issued by TUV since year 2008, and successfully passed annual audit. 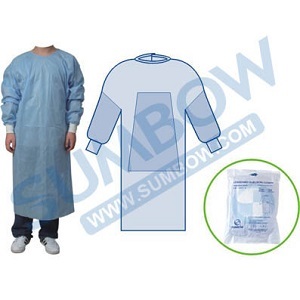 Leboo Healthcare Products Limited was founded by a professional team with over 10 years’ experience in the medical field in China, our company is committed to providing high quality products and excellent service to the healthcare, medical and industry area, by producing quality sterile disposable products, such as Surgical Packs & Drapes, Surgical gowns, patient gowns, face mask other disposable protection products. To achieve this objective, we built Class 8 clean room in year 2014, and always insist Lean Manufacturing Principles to give the best guarantee of the production quality. Kiran specializes in manufacturing some of the world’s finest radiology equipment, accessories and radiation protection products. Apart from radiating healthcare, Kiran also ventures into X-Ray solutions such as Surgical C-Arm products. Positioned as one of the global leaders in radiology, Kiran is a brand known for its outstanding quality products and unparalleled service standards. Being the radiology division of globally acclaimed Trivitron Healthcare brand, Kiran’s realm expands to more than 165 countries across the globe. Miracle Orthopedics is a global medical device company specializing in soft orthopedic Rehabilitation Products and medical support products the Company’s broad range of over 65 soft Orthopedic products, including 455 items, these products provide solutions throughout the patient’s continuum of care. Known as an innovator of Soft orthopedic And Medical Sporty products. Our team has wide experience in contracting, management, Mass Recruiting and coordinating with the international companies. Mr. Mousa Ali, our recruitment manager, known for his honest recruitment policies, has more than 10 years of experience in both medical and non-medical sector and has been a consultant for various projects in MOH, MOE, MOI, Kuwait University, etc. and private sectors. He has experience of providing medical staff for such a diversity of requirements. With professional consultants having experience across industries and organizations of all sizes, Boubyan Medical National Co. customizes its advisory services as per the client’s needs. As a result of conducting many assignments of the relevant scope of work within Kuwait, we are now assisting DHAMAN HEALTH ASSURANCE HOSPITAL COMPANY in medical recruitment including doctors, nurses and various other medical personnel.